These billion-dollar devices are bringing the universe into better focus. In order to be seen, light from objects needs to reach our eyes. Therefore, objects that are far away don’t reflect enough light back for us to see them. The objective lens of a traditional telescope collects as much light as it can and focuses it on the focal point inside the telescope. The eyepiece lens then magnifies the light on the focal point, which creates an image on the retina of the person looking through it. That being said, the lenses are an imperfect solution to the problem: different kinds of light bend at different angles and focus at different points — so, objects that are far enough away start to look blurry. Reflecting telescopes work to solve this problem by using a curved mirror to collect the reflection of the light. Because the light doesn’t pass through the mirror, it doesn’t bend like it would going through a refracting lens. In addition to functionality, reflecting telescopes are also a lot cheaper to make (even very large ones), and can “see” deeper into space. Radio waves are a particularly special type of light invisible to the human eye, so images reflected by radio waves reveal entirely different views on our universe. Radio telescopes are also capable of reflecting images of very distant objects that are remarkably clear. The huge dish of a radio telescope works just like the reflecting telescope’s primary mirror, except that it needs to be much larger to accommodate the radio waves’ long wavelengths. An international consortium including Canada, China, India, Japan, and the U.S. is building the Thirty Meter Telescope (TMT) at an estimated cost of $1.5 billion. The primary mirror of the TMT is (of course) 30 meters in diameter. It features a segmented design composed of 492 hexagons, each 1.4 meters in diameter. When the TMT is complete it will be able to collect 10 times as much light as the Keck Telescope, and more than 144 times as much as the Hubble Space Telescope. While impressive, that’s actually the least of what sets the TMT apart: it also exceeds the diffraction-limited spatial resolution (DLSR) of other telescopes currently in use. DSLR refers to a telescope’s ability to distinguish the light from objects that are close together at very long distances — rather than losing resolution to defects in the telescope itself. The TMT’s DSLR will beat out Keck by a factor of three, and will exceed Hubble’s DSLR at certain wavelengths by a factor of 10.
time domain science: gamma ray bursts and supernovae. Super telescopes of the past have already opened up the universe for us. The Hubble Space Telescope showed us just how massive the universe is, providing us with evidence of billions of galaxies, each one home to billions of stars like our sun. The Microwave Anisotropy Probe (MAP) spacecraft helped us discern that the universe is 13.7 billion years old. Super telescopes of the future, like TMT, will advance our understanding of the universe in countless ways, many we can’t yet predict. 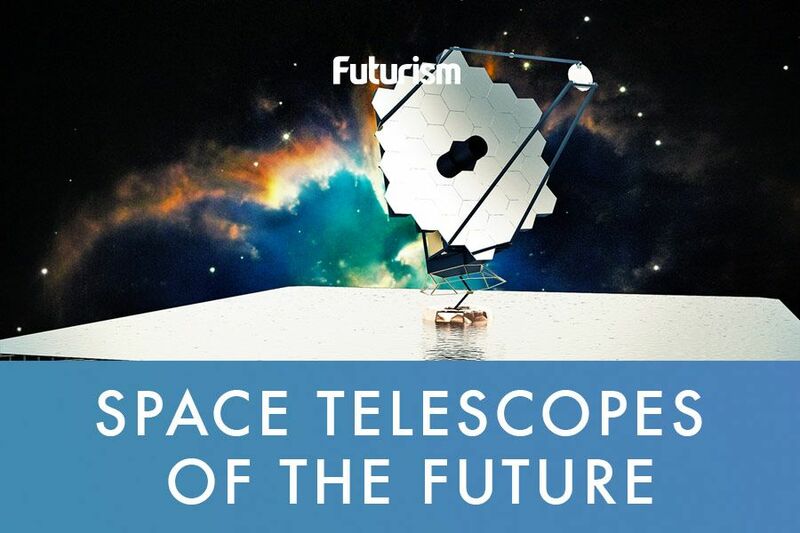 Along with TMT, the super telescopes of the future such as the Wide Field Infrared Survey Telescope (WFIRST), the James Webb Space Telescope (JWST), and the Transiting Exoplanet Surveying Satellite (TESS), will be the way we find life on other planets and decide how to colonize outer space.